On March 15, 2020, Maine will celebrate its 200th anniversary of becoming the nation’s 23rd state. That’s an anniversary worth commemorating. In hopes of gathering a diverse group of residents to help organize bicentennial events, Windham Historical Society is hosting a meeting at 6:30 p.m. April 24 at the Little Meetinghouse, 719 Roosevelt Trail. Individuals and representatives from local churches, schools, businesses and civic organizations are invited to attend. There will be handouts supplied that discuss everything from grants available from the Maine Humanities Council and the Maine Office of Tourism to information about websites that specialize in Maine history and recommended books on the subject. This is an opportunity for all to make Windham’s bicentennial events something to remember for years to come. If you have an hour or two a week to spare, the Windham Public Library can use your help. A couple of volunteers are needed to assist in putting items away in the Library’s Children’s Room. If you’re interested, stop by the library at 117 Windham Center Road and pick up a volunteer application. For more information, call Jen Dupree at 892-1908. Rep. Patrick Corey, R-Windham, will discuss the gas tax on “Speak Out” at 7 p.m. April 25. To share your views, tune in on Spectrum channel 1303, on the web at windhammaine.us/228/wccg-tv7 or on Facebook. Windham Parks and Recreation is offering a Think Spring Luncheon from 11:30 a.m. to 1 p.m. April 24 at the Windham Town Hall Gym, 8 School Road. Lunch will be provided by Starlight Catering and Lighthouse Jubilee will perform at noon. The cost is $25. For more details, call 892-1905. Tom Madsen, president of the Pewter Collectors’ Club of America, will provide a short history of American pewter and its makers from the 17th to 19th centuries at 7 p.m. April 22. This April program from the Windham Historical Society will be held at the Little Meetinghouse. The program will include an informal discussion about pieces from Madsen’s extensive pewter collection focusing on pewterers from Maine. He has also offered to take a look at pewter pieces that people bring along from their personal collections. Light refreshments will be served at this public event, and the suggested donation is $5. 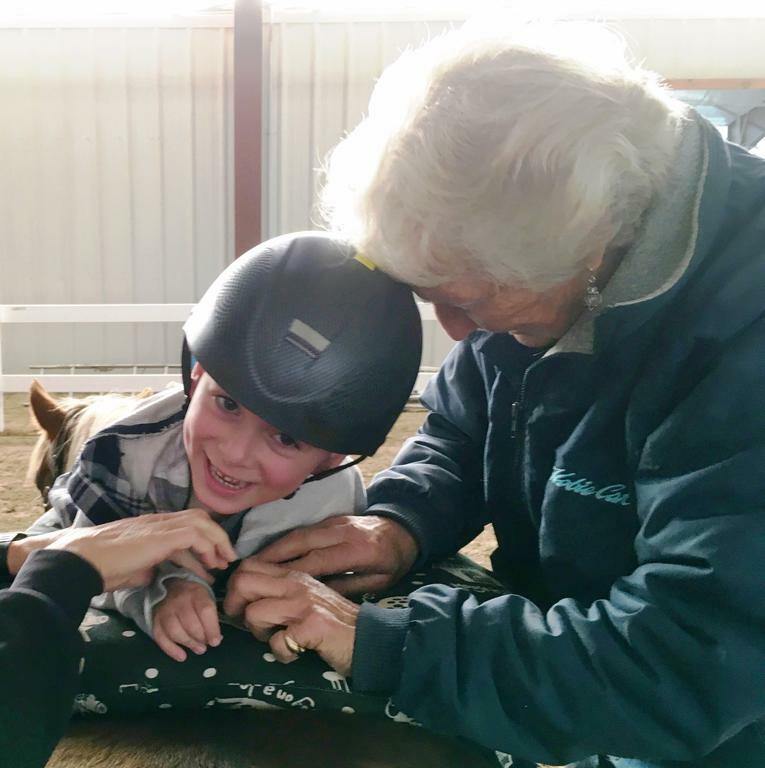 Riding to the Top Therapeutic Riding Center is celebrating its many volunteers during National Volunteer Week April 7-13. In 2018, a record number of people volunteered 100 hours or more and have been recognized at the state and national levels. “In 2018, 164 volunteers contributed nearly 11,000 hours of service in support of lessons, horse care, barn chores, office help and special events,” said Nick Doria, RTT’s volunteer coordinator. Five RTT volunteers were named to the Maine Volunteer Roll of Honor: Lina Jordan, Dan Morabito, Pat Niboli, Clayton Peters and Patty Shaw. Young adults who served 250 hours or more and adults who served 500 hours or more are: Julia Hamilton, Lina Jordan, Sarah Miller, Dan Morabito, Pat Niboli, Clayton Peters and Patty Shaw. Volunteers who served 250-499 hours are Janis Childs, Barbara Foster, Mark Fuller, Jodi Peasley, Bryony Urquhart and Trish Vaughan; 100-249 hours, Christine Blackadar, Jo Blinick, Earle Bonney, Cindy Elder, Emma Evans, Trish Friant, Tony Girlando, Fran Maxwell, Nancy Robinson, Stacie Hamilton Waldron and Elizabeth Wood. Congratulations to these dedicated people and the many others who share their time helping out this very worthy cause. Volunteer Pat Niboli assists rider Trey Gilpatrick at Riding to the Top Therapeutic Riding Center. Niboli was named to the Maine Volunteer Roll of Honor.